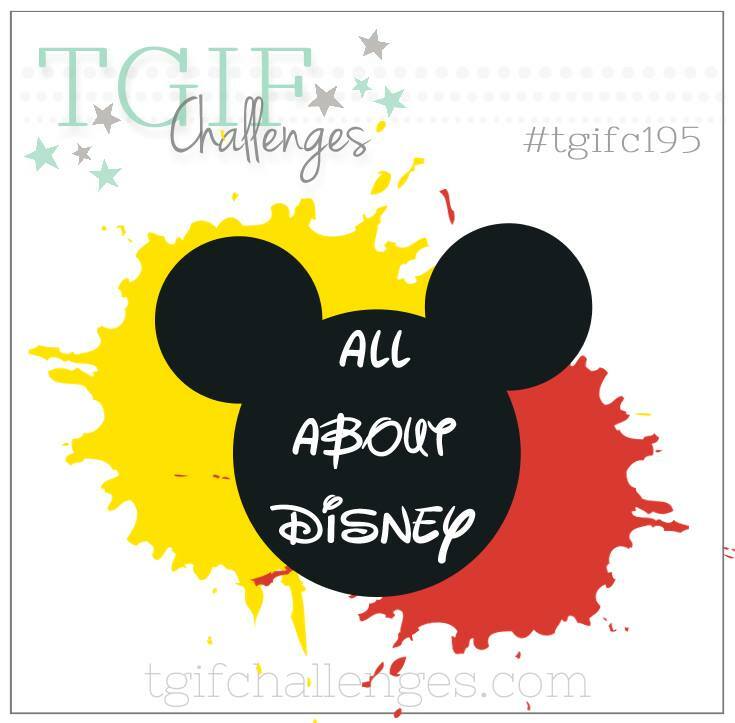 Dani's Thoughtful Corner: #tgifc195 Inspiration Challenge - Disney Style! Hey there stampers! Welcome back for another TGIF Challenge! Our challenge today is All about Disney! We are each making cards inspired by our favorite Disney characters. Who is your favorite character? Winnie the Pooh is my favorite Disney character so it's only fitting that my card be created in honor of Pooh. Everyone knows that that silly old bear loves hunny so a card with a bee hive was in order. Creating the beeswax was super simple using Hexagons Dynamic Textured Impressions Embossing Folder. Since Pooh always seems to find trouble while searching for hunny- I have added a few bees in the mix. As you can see from the picture above- the bees are dimensional. 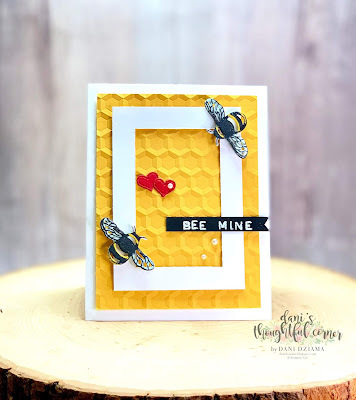 To create this look- I simply stamped, die cut and colored 2 bees for each finished bee. 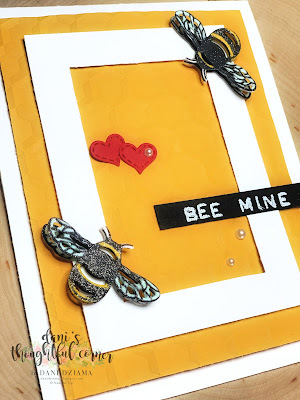 Using a Stampin' Dimensional- I carefully layered one bee on top of the next. A few layers of Clear Wink of Stella were added to make the bees sparkle. What an adorable idea for the Disney theme!!! I immediately thought of Winnie The Pooh when I saw your card. So, so clever, and those layered bees are the perfect final touch!